The bedroom in these units features a Queen size bed with an en-suite bathroom. 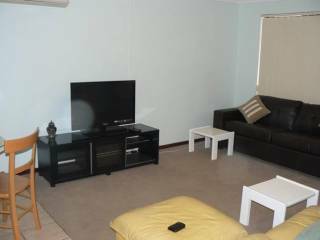 The units are air conditioned and have a small television in the bedroom plus a larger television that has free Foxtel in the lounge area (Foxtel in lounge only). The kitchens are provided with a fridge/freezer combination as well as an electric oven/cook top. There is also a microwave oven, kettle, toaster, and enough pots & pans, crockery and utensils to cater for all people staying. A wireless Internet connection (Wi-Fi) is available in some of these rooms. ​The Abrolhos Reef Lodge provides economy accommodation with a total of 31 well-appointed deluxe, standard and family units in a garden setting and is an ideal place to stay for a family holiday, for travelling business people, or by visiting sporting teams .All units are air-conditioned with free foxtel and Wi-Fi internet available. 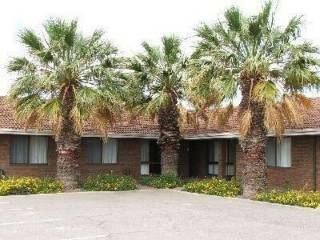 Lodge also has full laundry facilities on-site free of charge and a cool, inviting pool area. Also on site parking, a large open grassed area for recreation and walking distance to the beach side. Acess to Internet, meeting room, photocopying, fax & printing available free on-site. 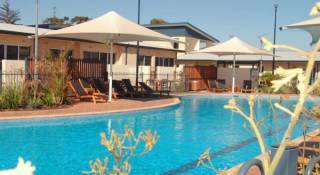 As well as our well appointed deluxe, budget and family units, Abrolhos Reef Lodge also has full laundry facilities on-site and a cool, inviting pool area. We have just completed our new outdoor entertainment area. Relax on our wooden deck area in close proximity to our barbecue area. Our laundry facilities include industrial grade washers and dryers as well as hand washing basins and sinks. When you are on holidays, you don’t want to spend your time washing, so take advantage of our fast, reliable laundry facilities. In order to have the most convenient amenities on hand for our long-term guests we offer guest laundry machine facilities. Look your best even when you’re far away from home without having to track down a laundry. This is just one of the many thoughtful facilities that Abrolhos Reef Lodge has incorporated in order to ensure that our guests feel right at home. The ability to do laundry means any traveller can pack light without running out of things to wear. Stay looking professional no matter where your journey may take you. No matter how long you stay with us, you will have full use of our on-site laundry facilities. Our facilities include industrial grade washers and dryers as well as hand washing basins and sinks. Relax by our sparkling pool and let your worries float away. You’ll find a range of outdoor furniture around the pool and pool towels can be borrowed from our front office. Sunbathe or simply relax by our cool refreshing pool and let the worries of your day slip by. Soothe your body and prepare for another fascinating day in the Midwest. Our pool is always kept in excellent condition all year round and is available for use by our guests. Why not jump right in after a long hard day at work (or after relaxing down at the beach)? Relax by Our Pool on our picnic benches, chairs and banana lounges, which are available for use during pool opening hours. Why not make use of our free barbecue area and eat your meal in our relaxing pool area? Rest under the shade of our large palm tree or soak up the suns rays on one of our banana lounges. The grassed areas are kept trimmed are perfect for throwing down your towels or a blanket. The kids will love it and you will find yourself wanting to hang around all day long. The pool is open every day from 8am to 7.30pm with pool towels available from the front office. 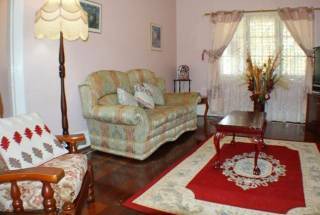 *Walking distance to the Supermarkets. Below is a list of things you might need to know about The Abrolhos Reef Lodge, Geraldton and our Midwest region. Early check-in or late check-out is available and rates are available on request. Although our staff members are on site till 9pm we would appreciate your advising us if you expect to arrive late in the evening. Should you need to cancel your reservation we ask that you advice us 24 hours prior to the arrival date. Cancellations with in 24 hours of arrival date will incur a fee that equals the first night’s accommodation rate this will be applied to your credit card or purchase order. Should you fail to arrive on the scheduled day of your reservation, your room will be held until 9am the following day if your stay is for consecutive days. Should you not arrive the next day your reservation will be cancelled and the first nights accommodation charge will be applied to your credit card. Geraldton is the ideal base to explore the region’s incredibly beautiful and varied wildflowers. The whole region comes ablaze with the beauty of the native flora during wildflower season attracting visitors from all over the world. For the more adventurous, the Abrolhos Islands are a chain of more than 100 islands. They are approximately 60 km west of Geraldton and 300 km NNW of Perth. None of the islands rises more than 14 metres above sea level and they are home to a rich variety of fauna including a wide range of sea birds. If you want to find out about the history of Geraldton and the many offshore islands with their shipwrecks, head to the interesting Geraldton Museum. It is also worth a visit to the excellent Geraldton Art Gallery. Payments by Amex or Diners card will incur a 5% surcharge. Payment is to be made in full at time of check in. We are required to see a valid Australian drivers license upon arrival. International travellers are required to produce their passport when they check in. A cancellation fee of one night's accommodation will apply to any booking cancelled within 24 hours of the arrival time. If no arrival time is specified, 6pm will be considered the arrival time. Cancellation fees will automatically be charged to the credit card provided, or deducted from the reservation deposit. 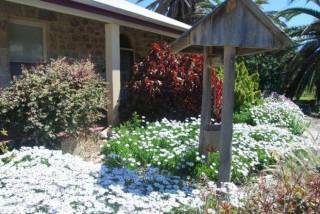 EASTER AND CHRISTMAS & LONG WEEKEND Bookings have a 14 day cancellation period. Cancellations outside this period will be charged the first nights' accommodation.